Thank you for getting me a great price in such a quick time. Would you like an expert opinion on its value? Or are you simply curious? a free appraisal, with no obligation. As well as our accurate valuation and tailored advice, we’ll show you how best to present your property to appeal to buyers. You’ll also have access to details of similar properties for sale or recently sold, giving you all the information you need to make that important step on to the market. Perhaps your home has been ‘for sale’ for some time and you would like a more proactive approach; switch to us and you can guarantee we will rejuvenate interest in your property. Presentation. High quality photographs and specifications lead to the most successful viewings and enquiries. Potential buyers will want to view your home thanks to our ability to highlight the best features and write appealing descriptions. Exposure. Our customers comment on how active we are on Rightmove.co.uk; every property is listed there within 24 hours to attract international and national interest. In addition, we showcase your home on hundreds of other websites and online directories. We also advertise extensively in carefully chosen quality magazines and property publications. Your ‘For Sale’ board will maximise word of mouth recommendations, and the most stunning photos of your house or apartment will appear in our eye-catching shop window displays. Relationships. Your home has a particular target market, so we analyse our vast database of buyers waiting to view and buy in the area and contact them personally to promote your property. Crucially, we follow up every viewing and keep you fully informed of progress. 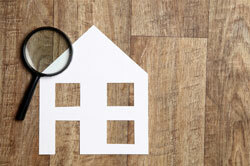 Securing a buyer is only the first stage in selling your property. At Mays, we have a proven track record in closing deals that exceed our customers' expectations. If you're looking for a reliable agent who will see your sale through from start to finish, we look forward to meeting you. Letting fees apply to both landlords and tenants. Click here to read more.